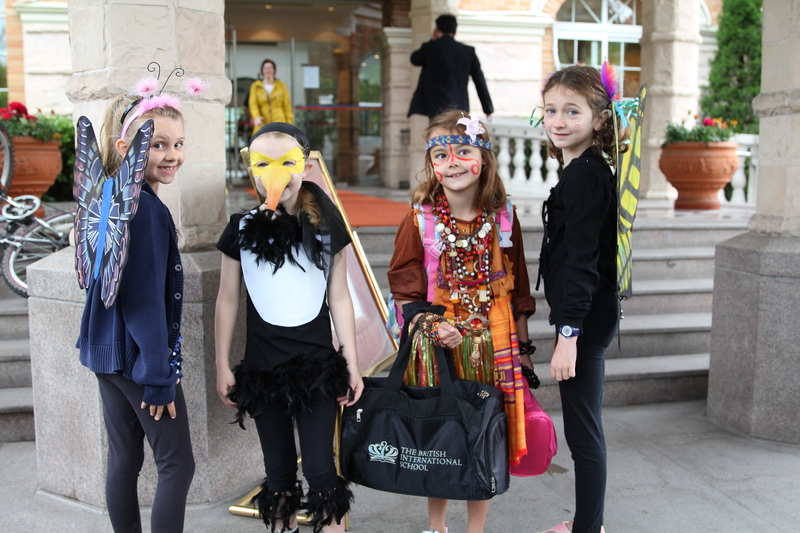 Today was the last day of the Rainforest topic at BISS for Year 3 and all of the students of Year 3 went to school dressed with a Rainforest theme. Isabelle had chosen to go as a Butterfly (a Monarch Butterfly to be precise). Owen had managed to order some wings in the UK and he picked them up on his last medical trip over. She wore a sparkly blue top and black leggings to complete the outfit. 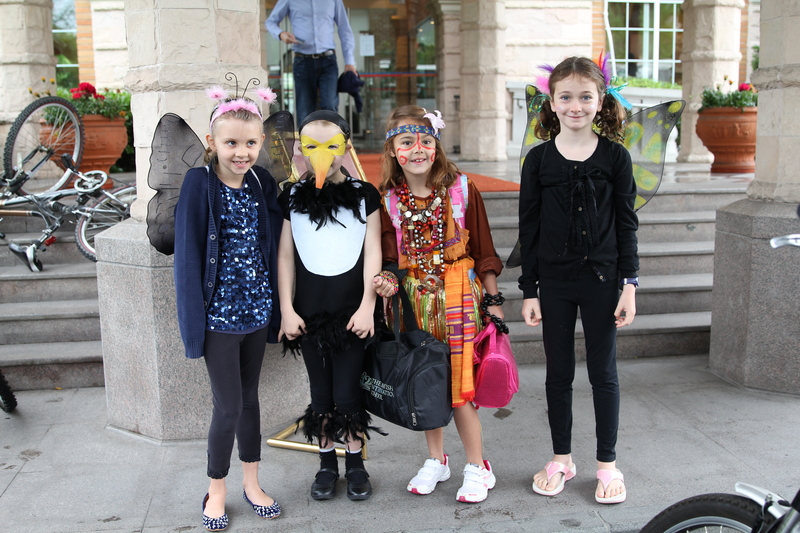 Blue Sparkles and Butterfly wings…….. Ava is a toucan, Maddie is a Rainforest Girl and Sarah is another Butterfly. Isabelle told us that most of the boys dressed up as monkeys! She also thought the best outfit was a peacock – because it had real feathers all over it. She has really enjoyed this topic and has become very knowledgeable about the Rainforest and its role in our fragile earth. This entry was posted in Uncategorized and tagged BISS, Butterfly, Kids, Rainforest. Bookmark the permalink.